Your face is always on display. You can’t hide it behind long sleeves, baggy jeans, or a hat. At Harris Dental in Phoenix, we’ve provided new smiles to countless patients and brightened their entire face. A beautiful smile is essential to a polished appearance. Some people even think of it as their most important asset. 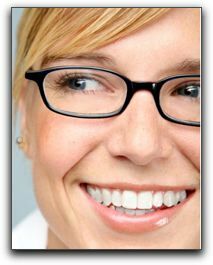 If your smile isn’t what you want it to be, you might consider looking into cosmetic dentistry. Chipped, crooked, or discolored teeth can detract from an otherwise appealing smile. These flaws can be fixed with cosmetic dentistry, an umbrella term for a range of procedures that affect the appearance of your teeth. In the case of chipped or cracked teeth, porcelain veneers may be an ideal solution. Veneers are thin shells that are attached to the front of your teeth to improve their color and/or shape. They’re great for hiding gaps, too. For crooked teeth, we offer Invisalign clear braces. Unlike traditional metal braces, clear braces are made of a plastic material and gradually bring crooked teeth into alignment. They look like an athlete’s mouth guard, and people love them because they are barely noticeable. Another benefit is that they come out at mealtimes. 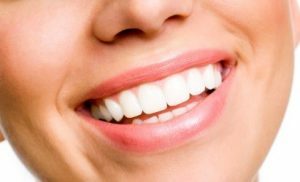 Teeth whitening can brighten dull or yellow teeth, and is one of the most popular cosmetic dentistry procedures available. Unlike over-the-counter treatments, professional-grade teeth whitening can transform your smile from dull to dazzling. We offer in-office and at-home procedures. At Harris Dental in Phoenix, we’re committed to helping our patients get the beautiful smile they’ve always wanted. Visit our smile gallery to see some before-and-after images of some of our patients. Are you an adult with misaligned teeth? Do you regret not having orthodontic treatment when you were a teen? At Harris Dental in Phoenix, it’s not too late to get that perfect smile – and clear braces make it easy. 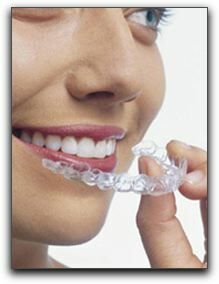 If you don’t want the whole world to know you are wearing braces, then Invisalign braces may be for you. Sometimes called invisible braces, they look like an athlete’s mouthguard. They are clear, but not invisible, yet they’re very inconspicuous. Someone standing just a few feet away might never realize you’re wearing them. 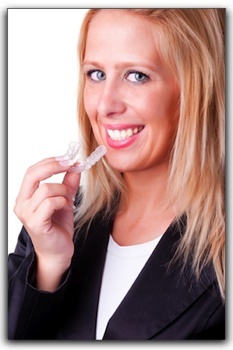 Invisalign braces have been on the market since 2000. They are fitted to your teeth and worn over them, so they gently move them into an ideal bite. One of the most appealing things about them for many Phoenix-area patients is that they’re removable. Take them out at mealtime and at bedtime. Take them out when you brush, too: unlike conventional braces, there is nothing to prohibit you from thorough brushing, just like (we hope) you’ve always done. This brings us to what may be the most critical thing to remember: the success of Invisalign clear braces depends on you. Since they’re removable, it’s up to you to wear them faithfully during the day. If you don’t, they won’t do what they’re supposed to do. And straightening your teeth is the whole point. If you want more beautiful teeth, come into Harris Dental in Phoenix and discuss your goals with Dr. Harris, DDS. Dr. Harris will examine your teeth and recommend the most effective system for you. Harris Dental in Phoenix is a full-service general dentistry practice. We provide cosmetic dentistry such as teeth whitening. For that perfect smile, call one of our four locations to make an appointment.